Rob Ford, Toronto’s new mayor, is trying his best to scrap our 5¢ plastic bag fee because the proceeds are going to retailers (as opposed to the government, which would apparently legitimize it in the public’s mind as a tax). So rather than make it exactly that and fund a very worthy cause, he’s just scrapping it. Period. Because that’s the kind of guy Rob Ford is. Here’s my issue with people who are proud of him: Although I agree with Mr. Ford that companies shouldn’t be able to pocket the extra money, I never had a problem paying 5¢ in the first place. Firstly, I’ll openly admit that like most people, I buy things I don’t need. Out of all the things we should complain about spending money on, I’d hope it would be gratuitous coffees, cigarettes, overpriced movie tickets, booze, knick knacks, candy and other (arguably) pointless and potentially harmless things (more on this here). If you purchase any or all of these items, that’s all fine and dandy – but then what difference does a few cents make? If I don’t like paying this small fee, I can do something very easy: carry a reusable tote around with me. It’s not complicated. Whether any given study suggests that paper, plastic or any other material is ideal, the goal should be to not buy or use so much stuff in the first place. I’ve read an article that indicated that reusable bags (e.g. canvas) carry far more pathogens, especially if people use them to carry groceries. I think it’s safe to say that as long as you don’t have leaky packages of perishable goods in there (in which you can wrap much thinner and sometimes biodegradable bags or simply wash), it shouldn’t be a concern. Some people say they use plastic bags as garbage bags. Boo hoo. I’m pretty sure almost everyone who says this can afford to purchase kitchen bags. The same goes for people who use them in their compost bins. If you’re taking the trouble to participate in compost programs, this tells me you care about the environment to some extent. Although some municipal waste collection programs allow disposal in plastic bags, they do this to encourage people to compost, at great expense. Separating organic waste from plastic bags is expensive (from a financial, energy and time perspective), the cost of which in some way may come out of your tax dollars anyway. Yes, plastic bags can be reused, but not as much as say canvas or cloth, and the real issue is the bulk that we produce in the first place (and the fact that they’re petroleum-based). I don’t understand how some people don’t feel the fire of environmental catastrophe burning under their asses. It boggles my mind that we still have to pander to people by way of incentives. I would definitely allow that people who are below the poverty line or anywhere close to it can’t afford it, but people in any other category simply have no excuse. It’s a matter of priority. 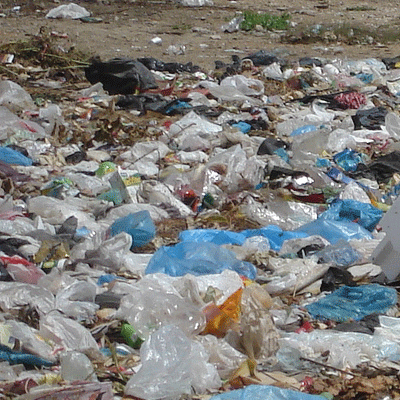 We all need to take personal responsibility for the materials we use and the waste we produce. Reusable shopping bags are just a small part of that. It’s the least we can do, and once you get into the habit, it takes no effort at all.